MONTREAL - Canada's big three wireless carriers have put up prices on some of their voice and data plans since January, showing Ottawa is unable to live up to its promises of overall lower prices and increased competition, according to analysts. Rogers, Bell and Telus have been able to increase prices because of their market dominance with smaller, new players like Wind Mobile and financially struggling Mobilicity up for sale, analysts said Wednesday. Eamon Hoey of Hoey and Associates Management Consultants in Toronto said that to this point Ottawa simply hasn't been able to live up to its promises to consumers. "It shows the bankruptcy of their so-called policy and their claims that they were going to be friends to the consumers," said Hoey. "They really lacked a plan as to how they were going to do this." Telus spokesman Shawn Hall concedes that Telus increased its unlimited nationwide talk and text plan rates by $5 for new contracts in January, but noted it also lowered the rate for its most popular data plans by $5 as well. Bell spokesman Mark Langton said Bell has increased the price of its top-end data plans and introduced more data options, but has also decreased prices at least a dozen times since last November due to the competitive situation. Meanwhile, Rogers said the data-usage habits of its customers are changing, with the majority of customers using between one gigabyte and two gigabytes of data per month. "That's why we didn't change the price of our popular 1GB plan ($85/month) and why we introduced a new 2GB plan for only $5 more," spokeswoman Patricia Trott said. The Harper government spent millions of dollars last fall on wireless competition ads that left consumers wondering what the Conservatives intended to do about the issue. The $9-million radio, newspaper and television campaign raised the ire of the telecommunications industry, which called the ads an unprecedented government attack on a major industrial sector. Which Smartphone's Users Are Fastest? 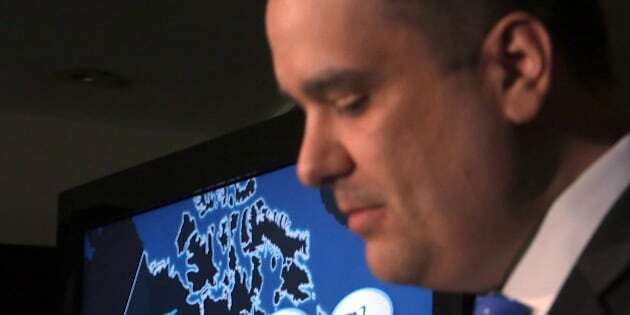 However, a focus-group report prepared for Industry Canada by the market research firm TNS Canada has said the telecom ads raised consciousness, but didn't show what policy solutions were being considered by the federal government. Hoey said the government could look at trying to regulate prices, which would be complicated and time consuming. And even though the government hasn't been able to turn its message into action, it has heightened consumer awareness that "they were getting gouged, correctly or incorrectly," he added. Telecom analyst Iain Grant said while Ottawa has been doing a lot of barking about better wireless prices, some "bites" are also coming from the federal government. Grant noted that Ottawa has already said the big telecom companies are facing a cap on the wireless roaming rates they charge smaller rivals for using their networks. "What we are seeing now is merely proof that three alternatives are not enough to safeguard the consumer interest," said Grant, managing director of the SeaBoard Group. Rogers (TSX:RCI.B), Telus (TSX:T) and Bell (TSX:BCE) have a combined customer base of 27 million, while newcomers Wind Mobile and Mobilicity have fewer than one million. It's also not yet clear if there will be a fourth national wireless carrier, another goal that Ottawa has pursued in hopes of increasing wireless competition. Videotron (TSX:QBR.B) has said it's in no hurry to make a decision about national expansion after its recent purchase of wireless spectrum in Ontario, Alberta and British Columbia. Grant said that often a country's fourth wireless carrier tends to be a regional player. Analyst Brahm Eiley said Quebec's Videotron (TSX:QBR.B) and Atlantic Canada's Eastlink are competitive in their regions., while Wind and Mobilicity are priced "drastically less" than the big three and their discount brands. Since January, the big three have all raised prices on most of their voice and data plans, especially in Ontario, Alberta and British Columbia, he said. "They've done this because they can," said Eiley, of the Convergence Consulting Group in Toronto. Eiley also said regional players Manitoba Telecom Services and SaskTel have been faced with increased price competition from Rogers, Bell and Telus. But Eiley said that starting in 2012 prices started to creep up overall and that has resulted in growth in average revenue per user for both big and small telecom companies. The new players couldn't sustain their discounts, Eiley said. Jake Enwright, spokesman for Industry Minister James Moore, said the government's polices are aimed at lowering price through more competition. "From the 700 MHz spectrum auction, to tower sharing and capping roaming costs, we are taking concrete actions to put consumers first," he said in an email.